Dhaka, 27 June, Abnews: A Japanese probe has reached an asteroid 300 million kilometres away to collect information about the birth of the solar system and the origin of life after a more than three-year voyage through deep space. The Hayabusa2 probe settled into an observation position 20 kilometres (12 miles) above the Ryugu asteroid, officials from the Japan Space Exploration Agency (JAXA) said Wednesday. "We have confirmed the arrival of Hayabusa2 at the Ryugu asteroid," JAXA said in a statement. Ryugu is thought to contain relatively large amounts of organic matter and water, the stuff of life, and scientists hope samples taken from the asteroid will offer clues about what gave rise to life on Earth. JAXA's announcement came just days before the UN's International Asteroid Day on June 30, a global event to raise awareness about the hazards of an asteroid impact and technological progress to counter such a threat. The probe will land on Ryugu in coming months and take samples "to clarify the origin of life," JAXA said in an earlier statement. Hayabusa2, about the size of a large fridge, is equipped with solar panels and is the successor to JAXA's first asteroid explorer, Hayabusa -- Japanese for falcon. December 2014. It will stay with the asteroid for 18 months before heading back to Earth with its samples in late 2020. 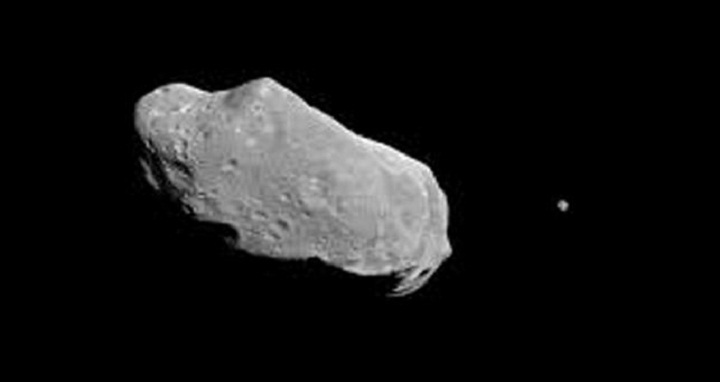 To collect its samples, it will release an "impactor" that will explode above the asteroid, shooting a two-kilogram (four-pound) copper object into the surface to create a crater a few metres in diameter. From this crater, the probe will collect "fresh" materials unexposed to millennia of wind and radiation, hoping for answers to some fundamental questions about life and the universe, including whether elements from space helped give rise to life on Earth.